Marvel-themed attraction Ant-Man and The Wasp: Nano Battle! 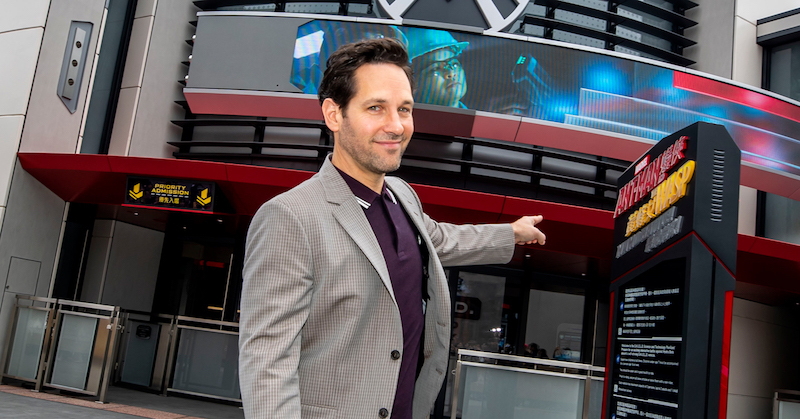 has officially opened at Hong Kong Disneyland Resort (HKDL), with Ant-Man star Paul Rudd in attendance. Ant-Man and The Wasp: Nano Battle! is a high-tech, high-energy attraction, for which HKDL collaborated with the original movie production team – including director Peyton Reed and composer Christophe Beck. The attraction sees guests team up with Ant-Man and The Wasp as they shrink to the size of ants in order to battle Arnim Zola and his Swarmbot army. It’s the second Marvel-themed attraction to open at the park, following the Iron Man Experience, which opened last year. 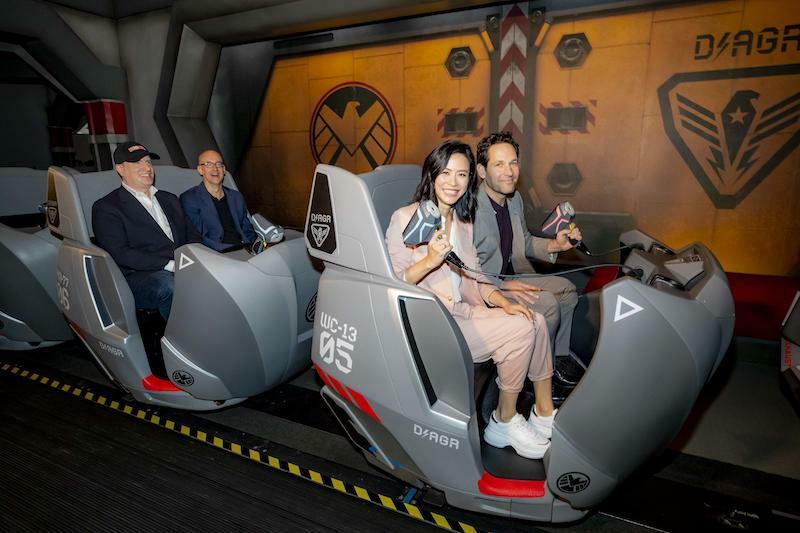 HKDL Ambassador, Melody Leung, presented the first five Nano Battle guests with a special attraction poster, as well as a ‘Mission Brief Booklet’ signed by Paul Rudd, Peyton Reed and the Marvel team. Sam Li, the first visitor to enjoy the ride, said: “I was the first one to experience the Iron Man Experience last time when it launched. I arrived at the Park at 8.30am this morning and wanted to be the first one to experience this new Marvel attraction again. “Thanks HKDL for bringing Ant-Man and The Wasp to Hong Kong,” added Sam. Mini newspapers to promote Nano Battle! To announce the launch of Nano Battle, Hong Kong Disneyland worked with Mindshare to create a miniature edition of Hong Kong-based tabloid Sky Post. The shrunken paper was available as an insert inside the full-sized edition, and featured a story about the ride. “It’s so fun spotting all the subtle Marvel references whilst experiencing the ride,” said Marvel fan Kitman Cheung. “I enjoyed the local references found in the attraction. “My favourite part is how interactive the ride is,” said Fluid Wong, a Marvel fan from Hong Kong. “While I was busy hitting the Swarmbots all around me with the EMP Blaster, and focusing on getting a high score, I kept hearing funny comments from Ant-Man and The Wasp. Ant-Man and The Wasp: Nano Battle! is part of HKDL’s multi-year expansion, which includes more Marvel-themed attractions coming to the resort.